The Antarctic notothenioid fish Dissostichus mawsoni (Antarctic toothfish) is an important piscine top predator in the Southern Ocean. Good olfactory capability has been hypothesized for this species on the basis of morphological (size of its olfactory bulb compared to other notothenioids) and behavioral (long distance migrations for food search and reproduction) traits. Here, we provide new information on the structure and function of the olfactory rosette and bulb of D. mawsoni using histology. Adult specimens (total length 136.2 ± 11.6 cm) were collected from McMurdo Sound. The rosettes had an average of 39 lamellae, without secondary folds and with a total surface area of about 1000 mm2. Both putative ciliated and microvillous receptor neurons were present in the sensory epithelium. Their projections to clustered glomeruli in the olfactory bulb were observed using antibodies against G-proteins. Numerous rodlet cells were observed in the epithelium and Gαi2-like immunoreactivity was present in their cytoplasm. This deserves further investigation given the still-debated nature of this cell type. Through the isotropic fractionator method, we showed 116,000 cells (mg of tissue)−1 in the olfactory bulb of D. mawsoni, a density that is similar to those found in mammals. Taken together, these data describe a well-developed olfactory system in this species, where olfaction is key sensory system. 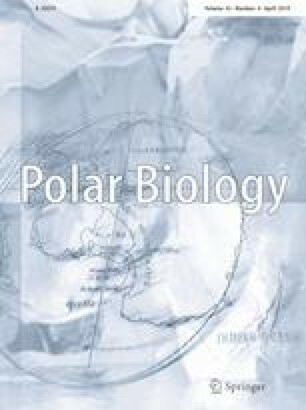 The study was supported by the Italian National Programme for Antarctic Research (PNRA) project 2015/B1.02 (DISMAS), and contributes to the SCAR Scientific Research Program AnT-ERA (Antarctic Thresholds - Ecosystem Resilience and Adaptation). The sea-ice-based activities to collect D. mawsoni were funded by the New Zealand Ministry for Primary Industries under contract ANT2015/01. We thank Antarctica New Zealand for excellent logistic support. The samplings of D. mawsoni were carried out in accordance with permit AMLR15/R01/Parker/K086 issued by the New Zealand government under the Antarctic Marine Living Resources (AMLR) Act 1981.